Which North Americans would be a good fit for sailing Costa Luminosa when the ‘ship of light’ comes to visit next year? First and most easily quantifiable: savvy cruise travelers who would like to sample the European cruising experience without paying for international air travel. They would not get the international ports of call, but they would get the onboard experience. Costa is not going to change what they do when sailing from Miami appreciably from what they do year-round in the Mediterranean. Someone Trying To Learn A New Language– This is about as close to total immersion into a different, diverse culture as we can get embarking from a North American port. While predominant languages vary some from sailing to sailing, expect the opportunities to hear and read English, Italian, French, German and Spanish. Joining a talk intended just for _____-speaking passengers is no problem. Value Seekers– Pricing for the 10-day sailings that Costa Luminosa will offer, round-trip Miami start at $499 per person + tax, making them one of the best cruise values around. Still, be sure you are OK with the European Experience before booking. Also consider at least some of the price difference between traveling from your home in North America to Miami vs. traveling to a European embarkation port. Foodies- There is Italian food and there is real Italian food. I’ve had both and will vouch for Costa’s culinary ability. The mozzarella, pasta and sauces on Costa Luminosa are every bit as good as we have experienced in Venice, Italy. Almost everything on the ship is made from scratch in the two deck-high galley that hosts a full butcher shop, bakery and more. Tours available. Smokers- there is no denying it, smoking is part of the European experience. To those who smoke and are mad at North American brands for all but banning it, your ship has come in, briefly. Non-smokers: It will take a few more steps but they can avoid the lion’s share of the smoky areas. Those with a long cruise history: roll back the clock 10 years and think of cruising at that time. That is what this is like. Spa Freaks– Spa travel experts along on our trip seem to agree “this would be the perfect ship for a girlfriends getaway,” concluded Zippy Sandler of ChampagneLiving.net. I’ll add in a wonderful place for couples. The Dream Package they offer includes spa treatments, fitness or meditation classes, tanning sessions and unlimited access to spa facilities. 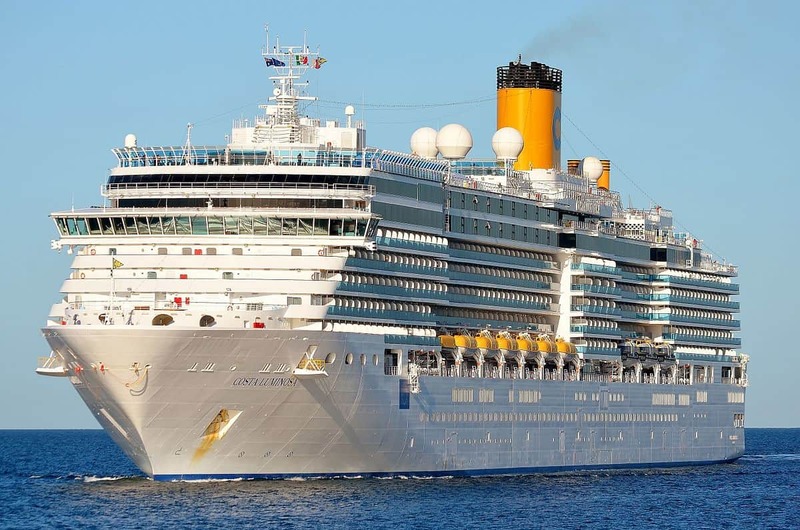 Parents and Families– The Costa Cruises children and teens program is very much like the award-winning Carnival Cruise Line’s Camp Carnival or Royal Caribbean’s Adventure Ocean. Age group breakdown, often a deciding factor for parents, is quite age-appropriate, well supervised and kids have fun. Bonus: Top deck lido area just for kids. Extra Bonus: Give your kids a taste of the world without leaving home. Extra Value Bonus: Kids 12 and under sail free in a cabin with two adults. Who should not book Costa Luminosa? There are a few groups of people for whom this ship and the Costa experience would not be a good fit. Those in these groups who received a recommendation to sail from their travel agent need to find another one. The last thing in the world that we want to have happen is for someone not suited for this to be booked on it. Nothing good will come of it. Someone expecting the standard North American experience– This is not it. Do yourself and others a favor: stay home. Costa is proud of what they do, as they should be, and has no intention of customizing their product for North Americans. Rabid Non-Smokers not willing to work around the smokers who will indeed be a higher percentage on this ship than on any North American brand. It’s avoidable but it’s there and it won’t go away if you complain. Lisa and I are former smokers and simply walking through a faint cloud of smoke when passing an outdoor smoking area irritates me. Lisa is over it. I am not. Someone who likes really big ships with lots of top deck features- This ship is very much like Carnival’s Spirit-class and Holland America’s Vista-class ships in layout. Décor most closely matches Carnival Legend, (a little neon and a lot of art) a ship we love and have sailed multiple times. Most apt not to like: Fans of Royal Caribbean Freedom- and Oasis-class ships. Someone who likes small, intimate ships- This is bigger than that and because small ships usually come along with a premium price, they tend to draw a more affluent clientele. Personally, I like this size ship where walking from one end to the other can be done quickly and getting lost is hard to do. Someone who finds ‘foreigners’ unpleasant in real life- This would be torture for you. On Costa Luminosa, North Americans will be in the minority and will feel it at every turn. On the up side: North American’s are apt to be quite popular if re-visiting ports on the ship’s Caribbean itinerary, having sailed to them before. Costa Luminosa will sail a short series of 10-day deep Caribbean sailings, round-trip Miami starting December 7, 2013 with pricing starting at $499 per person for inside cabins, $699 per person for Oceanview cabins and $899 per person for balcony cabins. See your travel agent for details.